Our man has always admired Audi ‘Quattro’ performance but has always struggled to love it. 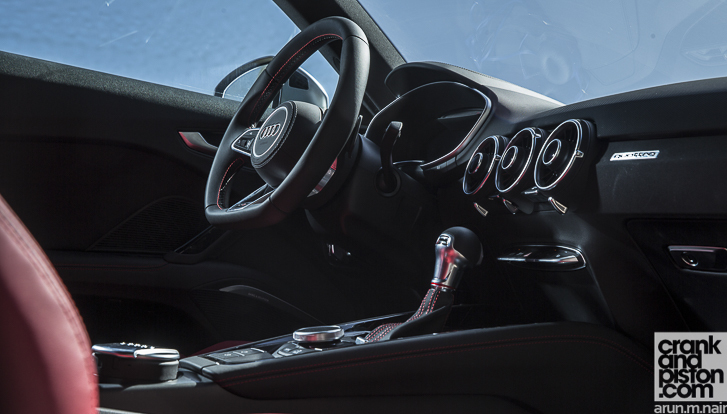 Might the new Audi TT S offer the solution? Pro The best TT yet? I should probably point out before we really get into things that, while I’ve driven and enjoyed quite a few Audis in my time, I’ve always found them to be too nose heavy. Such indeed was the case with the S4, the RS3, the RS6, and even the old TT RS, ‘Quattro’ engineered one and all which, admittedly, probably didn’t help matters. I’ve also struggled to really engage with most of them, for while the build quality is great, the engine fantastic and overall design superb, there’s been a tendency to understeer that removes most of the playfulness and a slightly clinical approach to proceedings that’s always left me rather cold. And then there’s this one. It’s the new TT S, a slightly sprightlier version of the third gen TT that made its first appearance at Geneva back in 2014 after an eight-year wait (a tried and true lifespan for the four rings). It packs the same 2-litre EA888 turbocharged four-cylinder as the TT ‘Sport’ base model, yet churns out a whopping 306bhp and 280lb ft of torque. And even though the fastest and most powerful TT currently on Audi’s fleet is also kitted out with the Quattro four-wheel drive system, the S nevertheless appears to have been vaccinated against this understeering malady. Much like the Volkswagen Golf R with which it shares both a platform and most of the powertrain, the Quattro system is mostly front-wheel biased but operates an electronically-controlled multi-plate clutch that can send 100 per cent of that 280 pound feet to the rear axle. Helpful certainly for eroding the onslaught of understeer. On top of that – or rather, underneath that – the chassis is something pretty special, having dropped 50kg over the previous generation thanks to 27 percent now being fashioned from aluminium. 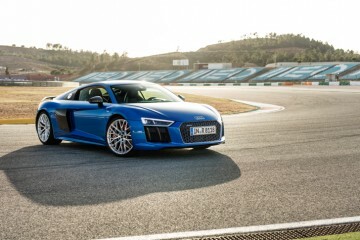 It’s been designed to handle the upcoming TT RS’ mooted 400bhp with ease, so the S’ meagre 306bhp is child’s play. 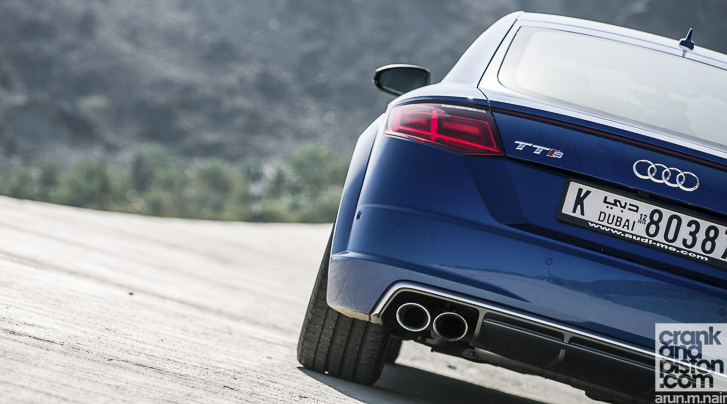 How does the TT S handle? 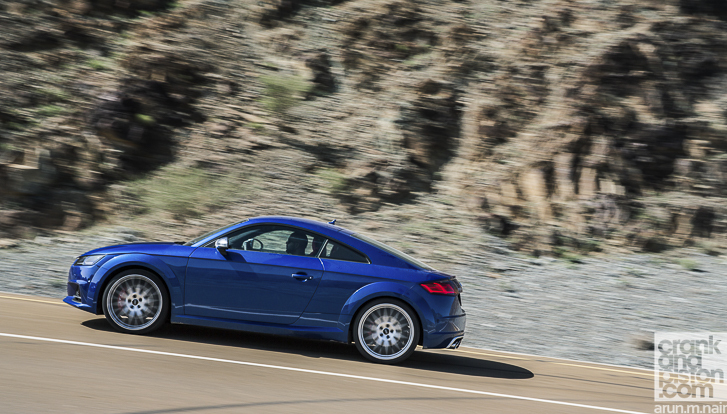 As a result, when paired with razor sharp steering, the TT S is almost blisteringly good through the corners. There’s an agility so far removed from the base model that it’s difficult to really compare the two. There’s enormous grip at the front end in the S allowing you to really lean on the nose and a beautifully neutral balance aided considerably by the calibration between the stability control and the four-wheel drive: tuck the front end into the tighter corners and torque is already being sent to the rear axle, quelling understeer and allowing you to jump on the power sooner. I’m torn though, for while the issue of understeer is now a redundant one, I’m still struggling to bond with the TT S. The steering may be razor sharp but there’s still considerable amount of power assist at the helm – even in full fat ‘Dynamic’ mode – that alienates rather than draws me in. Despite the improved handling, there still lacks the emotional impact to hit me square in the feels, something segment rival Porsche has managed well with the Cayman / Boxster. Saying that, there’s still just enough communication from the S to encourage that little part of my brain that says “c’mon, just go a bit faster, turn a bit sharper and we take that corner sideways, nuthin’s gonna happen”. And sideways you can go, with an outstanding feeling of control. What about the cockpit and driving position? 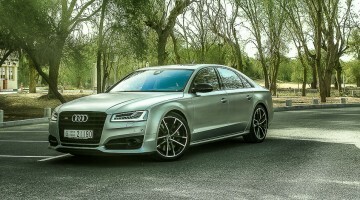 Well, this is an Audi. So it is quite perfect. How can something be ‘quite perfect’? Well, I am growing old and now want some comforts that are at odds with a sports car keen to shed those unsightly kilograms, and consequently, I have to do without heated/vented seats. Also, compared with BMW’s ‘brlimp’ and Mercedes’ ‘blip’, Audi’s driver warning chirrup is a dual-tone that sounds exactly the same as a Mitsubishi elevator. It’s so uncanny, you might reasonably expect to be told to get out on the 17th floor. That said, the driving position is outstanding, as is visibility and reach to all the controls. Special mention should also be made of Audi’s Virtual Cockpit, which turns into a full-screen map or Playstation style data bank: once seen on this car, you’ll miss it in all the others. Joy of joys, you can connect two phones to the Bluetooth audio system, itself easy to navigate through and still an accomplished design. Oh, and you may think I have forgotten to mention the back seats. I didn’t. It’s a 2+2. Deal with it. Previous ArticleVelocity RPB-01. The answer to closed cockpit racing?